Logic is an adept lyricist known for speedy, tongue-twisting flows, and yet much of the public narrative about the rapper fixates on the way he looks. Logic has always been an outsider. In the late 2000s, when he was still an upstart rapper in Gaithersburg, Maryland, he—much like GoldLink, another rapper from Maryland—bypassed the old ways of making it in the DC rap scene. Back then, rappers who sought national recognition performed at local open mics to build a buzz. They’d sign with fledgling indie labels, release a few singles and mixtapes, and push their music to local FM stations WKYS and WPGC, hoping to crack into the rotation. That rarely worked, but, until the ascent of the Internet as a repository for new music, it was the only obvious path. 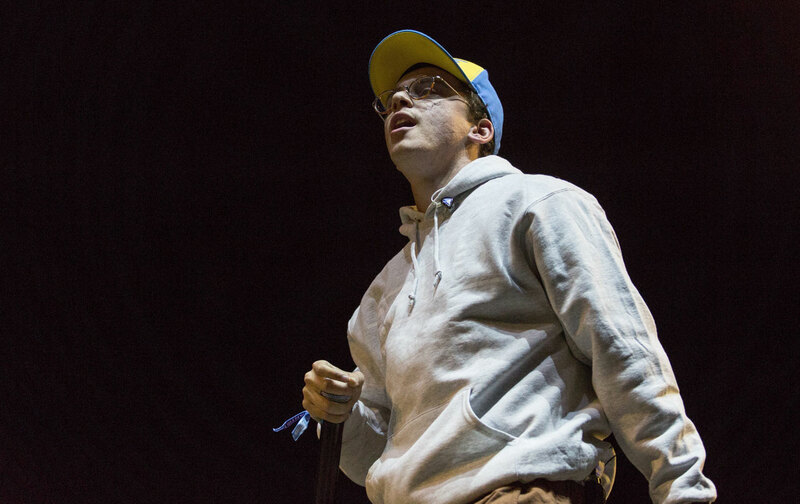 Perhaps knowing this, Logic pushed his music to high-school and university students, performing smaller shows at the University of Maryland, College Park. A wire-thin kid with a penchant for sci-fi, anime, and ’90s hip-hop, Logic looked like his fan base and rapped openly about his rough upbringing in Gaithersburg’s West Deer Park public-housing project, where his brothers sold crack and his parents were addicted to drugs. On the new album, released this month under the title Everybody, Logic completely boils over, funneling his frustrations into an hour of visceral self-assessment—and defiance. Much like his last album, 2015’s The Incredible True Story, Everybody is carried along by a narrated backstory—this one told by astrophysicist Neil deGrasse Tyson—that plays out between the album tracks. The protagonist on Everybody is hit by a vehicle and dies while walking home, only to have Tyson—playing the role of a God-like character—explain the meaning of life and the process of reincarnation. Unfortunately, at times, the Tyson-led narrative lags and distracts from the music—especially on “Waiting Room,” an almost-five-minute dialogue that comes after the LP’s strongest songs: “Confess,” featuring Killer Mike; “Take It Back”; “America,” featuring Black Thought, Chuck D, Big Lenbo and No I.D. ; and “Ink Blot,” featuring Juicy J. Everybody is an album that seeks to unite disparate groups of people. “This is for every race! This is for every color!” a filtered voice exclaims on “Hallelujah,” the album’s opening song. On the title track, Logic raps: “White people told me as a child / As a little boy playing with his toys / I should be ashamed to be black / And some black people look ashamed when I rap / like my great-granddaddy / didn’t take a whip to the back.” Then, on “Take It Back,” he succinctly articulates his grievance with the criticisms that continue to burden him. “Everybody wanna tell me what I am, what I am not / ‘You ain’t black, you a muthafuckin’ white boy,’” he raps. He’s laid out parts of his personal story before, but this is the first time Logic has delved into his complex experience of being black and white in America. Everybody is Logic’s most personal and expansive work, sharper than anything he’s put out before. By carefully examining his own sense of identity, and the pain—and well-earned pride—that comes along with it, Logic has released a project to which all listeners can relate. In years past, the rapper sounded a bit too much like his influences—A Tribe Called Quest and Kendrick Lamar, especially—though, on Everybody, it seems Logic has truly discovered his own voice.